From the developer of Vikings: Wolves of Midgard comes Shadows: Awakening, a dungeon crawler that has you roaming about dungeons smacking things, gaining XP, new abilities and looting all kinds of shiny gear. But wait! 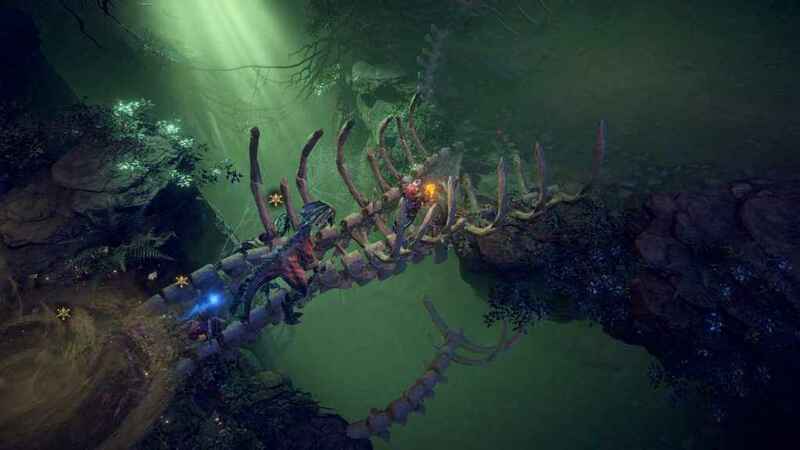 Shadows: Awakening does things a little differently – rather than being yet another template genre effort, the latest title from Games Farm introduces a Soul Reaver style switching mechanic to freshen things up a fair bit. As it turns out, Shadows: Awakening is actually the third installment in a long running series that made its debut on PC back in 2004. Don’t worry if you’re not familiar with the series past though – Shadows: Awakening can be played without any prior knowledge as the narrative is pretty much standalone. Essentially, as a demon summoned into existence you must find a host, or ‘puppet’ as they’re called here, to control and manipulate to your own ends. The problem is, each of these puppets that you can possess (to a concurrent maximum of three) also have their own specializations (split between warriors, hunters and mages), agendas and stories to pursue, creating a nice bit of rivalry, tension and banter between the different entities. Additionally, extra puppets can also be recruited to your cause as you play through the game, providing yet further variance in the experience. Care must be taken however – though puppets can be resurrected at handy sanctuary points scattered throughout the world, should the demon run out of health then it’s a one-way trip back to your last save point. Switching from the physical to the ethereal plane (and back again) is key to beating the array of enemies and puzzles you’ll come across. Speaking of the story, the overarching plot in Shadows: Awakening is your usual dark fantasy fodder, stuffed with encroaching darkness, raiding bandit hordes and mischievous demons. Elevating the proceedings though is the quality of the writing which often errs towards the humorous (look for a cheeky Fist of the North Star reference among others) with frequently amusing banter and high quality voice work where the actors actually sound like they’re properly enjoying themselves (fans might recognize the grandiose intonations of Tom Baker – the fourth Doctor Who, as the narrator too). Beyond its plot, Shadows: Awakening leverages its Soul Reaver style mechanic to great effect in both areas of combat and exploration. In reference to the former, switching into demon form whisks you off to a nightmarish version of the physical realm where you find yourself accosted by numerous ghosts, evil spirits and other creatures that are unique to that realm. How this figures into combat is that certain boss enemies will require you to switch between the demon and the physical realms to get the job done. A towering undead giant might, for example, need you smash its magical shield with demonic attacks from the spiritual realm, allowing one of the puppets to start dealing damage to its physical form. It’s a neat feature in all honesty and one that definitely helps make the combat feel pleasingly different from the dungeon crawling efforts that have come before. Though it’s part of a larger saga that began life way back in 2004 on PC, no prior knowledge is needed to get stuck into Shadows: Awakening PS4 debut. Elsewhere, the ability to switch between the tangible and the immaterial is also leveraged by the exploration that Shadows thrusts upon the player, as some areas will only be accessible by the demon and others by the puppets that he controls. A seemingly dead-end chamber might have a secret passage appear when you change into demon form whereas conversely, an impassable door in the demon realm might be opened by a switch found somewhere in its physical counterpart. Again, it’s a clever mechanic and one which makes Shadows: Awakening feel fresher than it otherwise might. 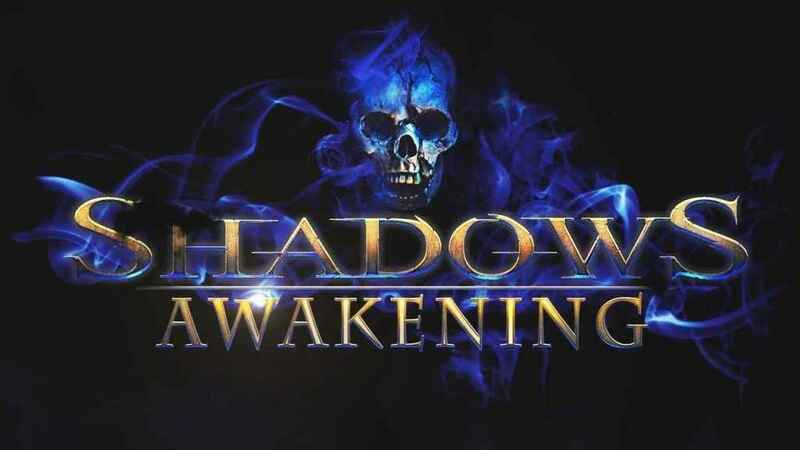 Beyond the innovation of its dimension switching mechanic however, Shadows: Awakening is a fairly standard if handsomely made dungeon crawler. Unfortunately, it doesn’t quite have the level of polish needed to really stand shoulder to shoulder with the greats of the genre. 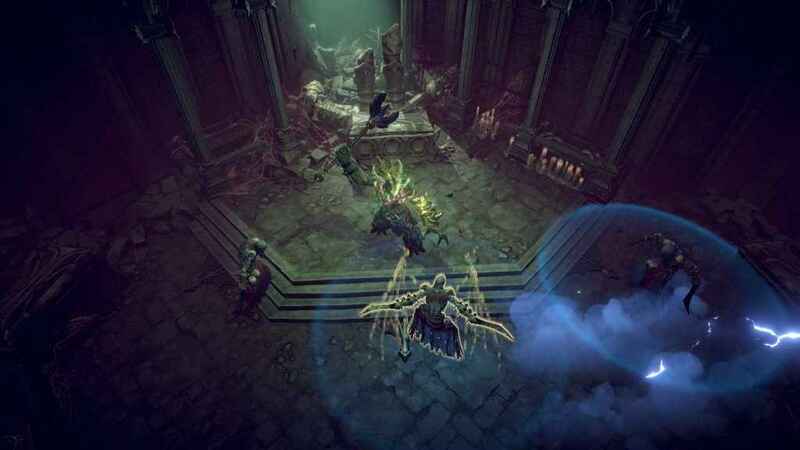 The combat for example, while perfectly fine and enjoyable, lacks the buttery smoothness of either Diablo III or the hugely overlooked Victor Vran. This is a fact that is supported by the fact that Shadows: Awakening operates at half the framerate of either game, rather than super fluid 60 frames per second that makes both Diablo III and Victor Vran such satisfying romps. Like any dungeon crawler worth its salt, Shadows Awakening has a number of large hub areas where side quests and additional activities can be found. 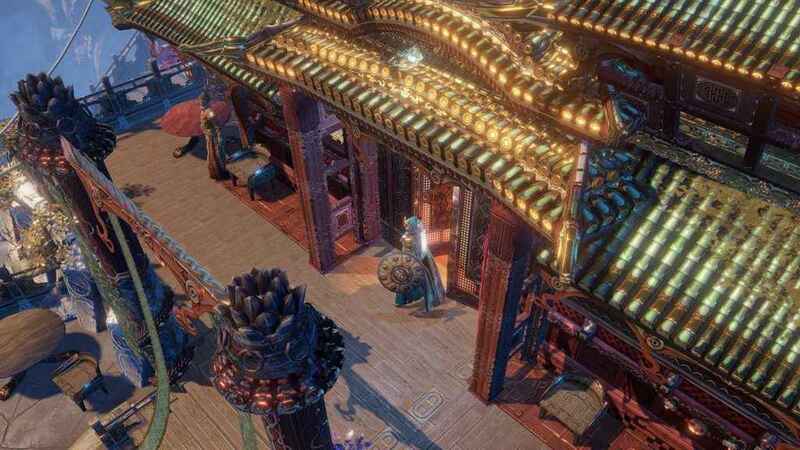 Further afield, there is also a distinct lack of co-operative multiplayer, which one would normally expect from any dungeon crawler worth its salt. However, in the case of Shadows: Awakening, co-op play just wouldn’t mesh well at all with the game structure, simply because the demon and the puppets can each access different areas and having additional players in those roles would effectively break the game. All the same, the longevity of Shadows: Awakening remains pleasingly substantial at 40 plus hours if you do all the side quests – so there’s plenty for newbie and veteran dungeon crawlers to sink their teeth into. Shadows: Awakening is still an admittedly robust dungeon crawler certainly, it’s just a shame that its innovations pretty much start and stop exclusively with its dimension shifting gameplay beats. Nonetheless, Shadows: Awakening is still a meaty, entertaining and well-written dungeon crawler, and if you’re looking for one that raises itself slightly above the doldrums of the genre, you certainly won’t be disappointed. Shadows: Awakening from developer Games Farm and Kalypso Media Digital is out now on PS4, PC and Xbox One.